While people have fought in hand-to-hand combat since before the dawn of recorded history, boxing can certainly lay claim to being one of the most venerable fighting sports, with depictions of it dating back as far as the 3rd millenium B.C in the ancient civilizations of Sumeria and Mesopotamia. Boxing is both a martial art and a combat sport. This sport only uses the fists and involves two fighters throwing punches at one another with the main objective of weakening or knocking out the opponent. This is one of the few martial arts that is currently considered an Olympic sport and it also has its own World Championships. 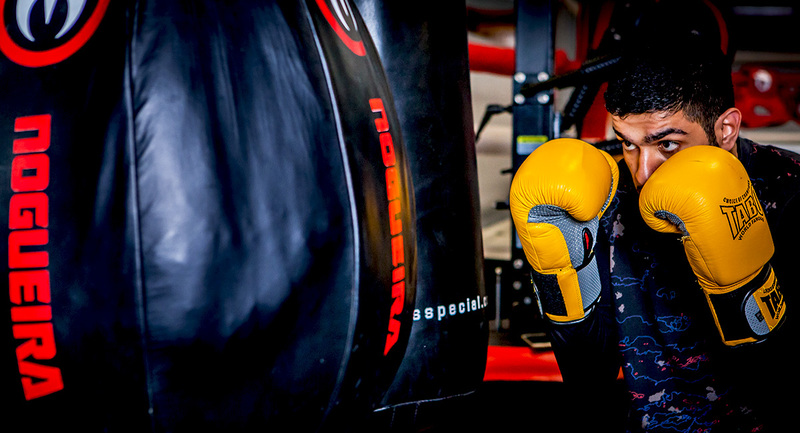 Boxing classes takes place in the ring and involve a high intensity workout followed by stretches. Students learn the different punching, footwork and stance techniques while in pairs and sparring is optional. We begin with the basic boxing stance, which is straightforward for beginners to attack and defend easily. You’re well covered in this stance with both hands ready to attack. As you advance in technique and ability, you can apply different boxing stances for more advanced body movements and counter-punching opportunities. Beginners absolutely need to master the step-drag and pivot manoeuvres. Essentially, keeping your feet down on the ground so you’re always ready to attack, defend, or move away. Flashy footwork will come naturally once you develop better technique and conditioning. The main punching techniques in the sport are the jab, cross, hook and uppercut. For a beginner, the most important thing is to learn the proper punching form: relaxation and manipulation of body weight. 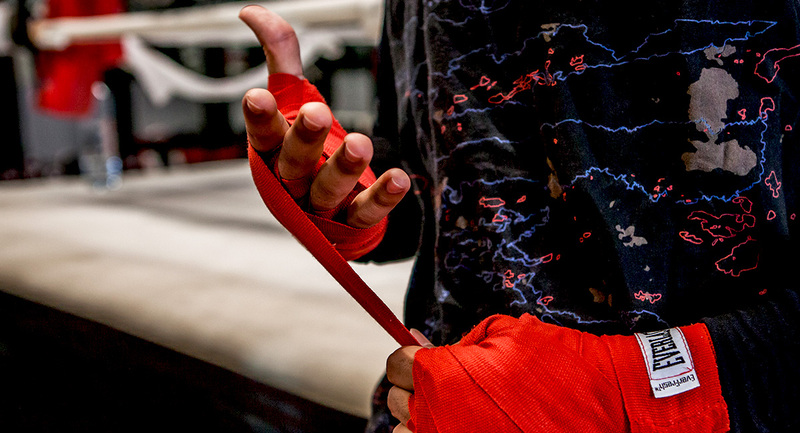 Later on, you will be able to throw many different variations of punches from different positions and develop your own punching technique to fit your style. 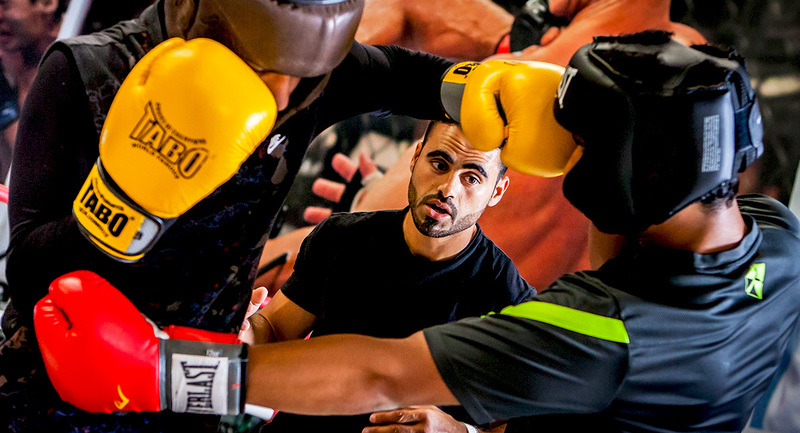 Boxing is a great workout – perhaps the most challenging of all sports. It requires speed, agility, power, finesse, endurance, and a great deal of mental toughness. Boxing pushes you like no other martial art, pitting the finest and highest level athletes against each other. It’s a sweet science but also an exacting and brutal sport. 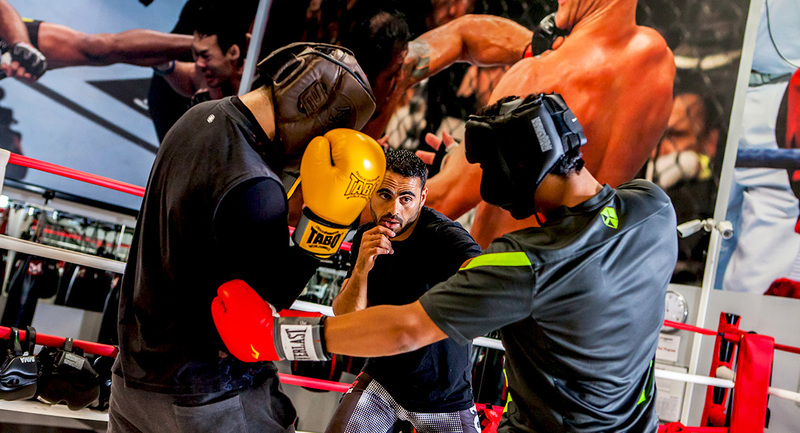 Boxing is one of the most popular martial arts out there. It increases coordination and reflexes while sweating out calories. It is also a great stress reliever, and encourages discipline that will transfer over to all other aspects of your life – whilst toning your body up of course! Classes at TND are run by a veteran coach and fighter who will help you lose weight, get in good shape and ultimately, become a great boxer! 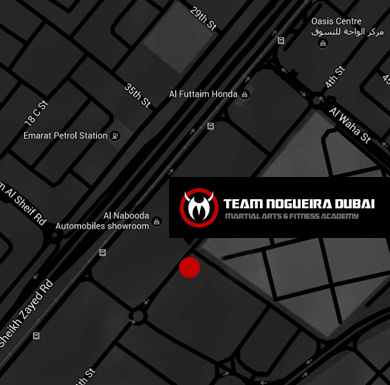 Mejdi is our boxing coach at Team Nogueira, and is also Arab Boxing Champion, as well as Mediterranean and Tunisian Boxing Champion. 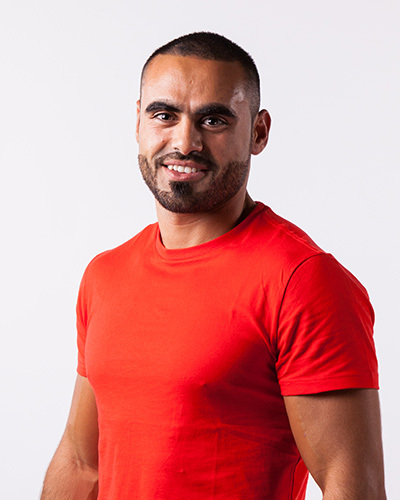 The coach has been boxing for nearly a decade and has extensive experience in both competing and teaching the sport.